Dating back to 1200 years ago, Vayalur Murugan Temple was built by Chola King. 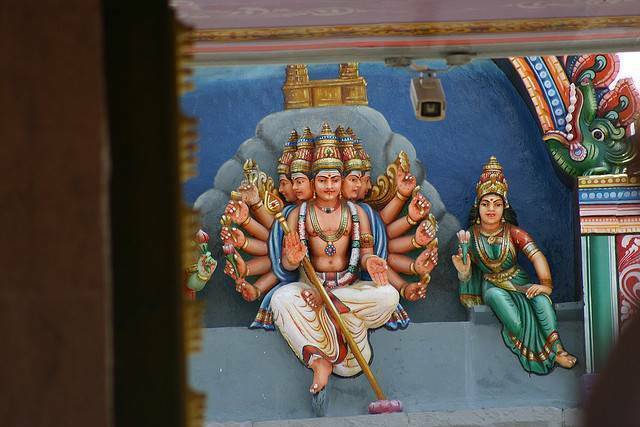 The temple was located in the site where Arunagirinathar, a die-hard devotee of Lord Murugan was blessed by Lord Murugan and asked him to author “Thirupugazh” Literature. Tourists can see a Sakthi Theertham in front of the temple. The temple has small shrines for Sri Poiya Ganapathi and Natarajar. In this temple one can see that Lord Natarajar stands on his feet unlike usual posture. The main deity of Lord Muruga and his consorts sitting over peacock is amazing to watch.